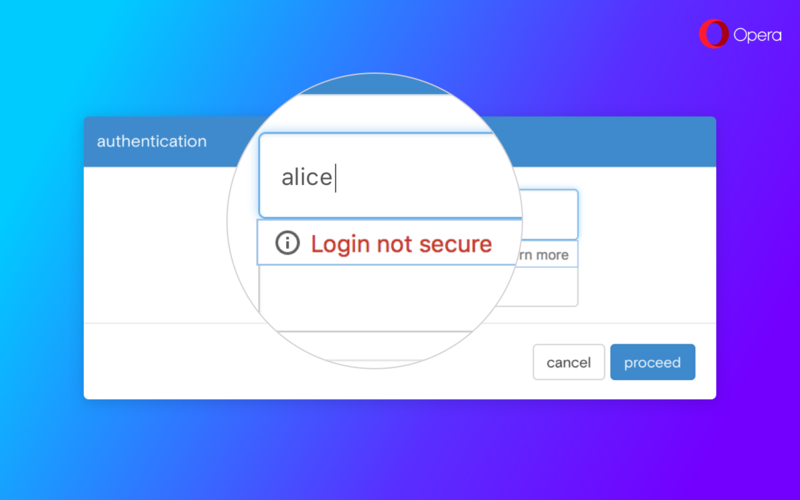 Over the last year, we have introduced a series of new features such as free VPN and native ad blocking. 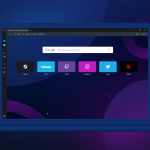 Earlier this year we also presented Opera Neon, a concept browser that gave you a glimpse into the future of desktop browsers. 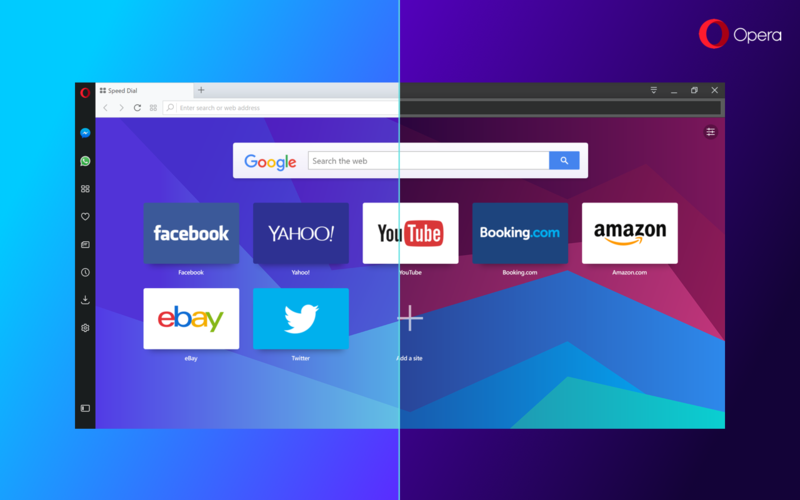 Now, the best parts of Neon are being brought to the new Opera browser, codenamed Reborn. Social messengers completely changed our lives, by allowing us to work, discover new things and communicate at the same time. This shift has come with smartphones, but desktops and laptops, while theoretically more powerful multitasking tools, have been left behind. 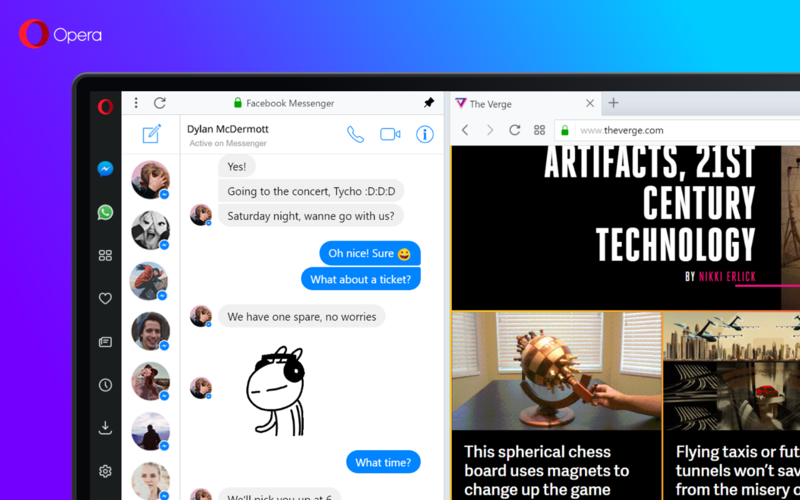 Browsing and chatting simultaneously is cumbersome and inefficient now, as you need to switch between tabs when responding to a message. We believe this needs to change. 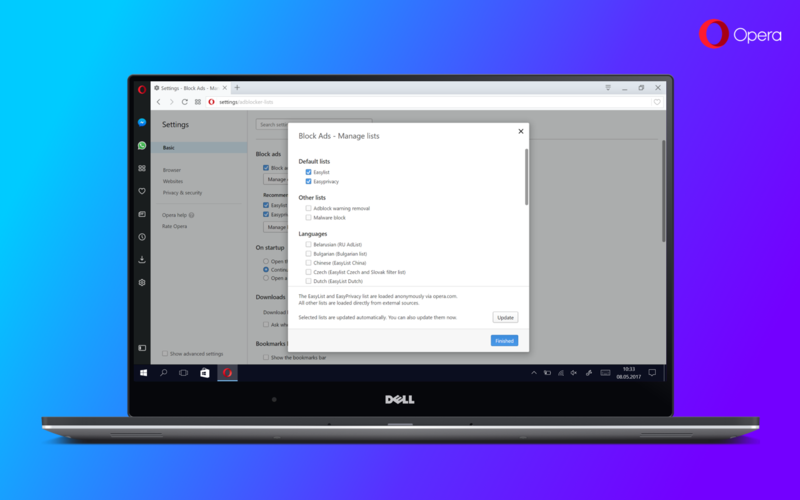 That’s why we bring you Opera Reborn, the first browser to allow messengers to reside within your browser, without the need to install any extensions or apps. Opera Neon, released in January, is an experimental browser that envisions the future of web browsers, similar to the way concept cars predict the future of automobiles. One of its novelties is the ability to seamlessly hop between discovering new content and chatting with friends, or even share online discoveries while browsing. Inspired by Neon, we decided to bring those seamless transitions between chat and discoveries to the Opera browser. The result is Opera Reborn, complete with integrated popular messengers so you can keep chatting with friends without skipping a beat. Reborn is a project that is incrementally redesigning the entirety of Opera’s user experience. Apart of the new messenger experience, it brings you several UI improvements. One that you will surely fall in love with is the new colors. Opera is now available in two color themes: light and dark. You can also select one of the cool backgrounds that perfectly complement Opera’s new look and feel. For this final release, we have prepared some completely new ones. Both the background wallpaper and the browser’s color theme can be managed in the “customize start page” panel and in browser settings. Opera now has a completely new user interface that is truly modern, simplified, refined and playful. The entire layout has been updated with a new, high-quality graphical design that is more consistent across platforms. The tabs are simplified, lighter and more elegant, making it easier to locate open tabs. The new sidebar is more subtle and refined with a touch of animation. Apart of completely new user experience, the new version also brings you ad blocker improvements. Now, Opera automatically reloads a page when toggling ad blocking on or off for that page. It’s especially useful if you want to quickly flip the switch, and it gives you much more control and comfort while browsing with ad blocker. Also, we have added some important changes to the block list management. Now, you have control over which block lists are loaded. Easylist and EasyPrivacy are turned on by default. Other lists, including regional and custom lists, can now be managed through the “Manage Lists…” dialog. Opera adds in-form warnings for sensitive fields when the top-level page is not HTTPS. Whenever you start filling in your password or credit card number on a page, which is not HTTPS, the warning will appear. 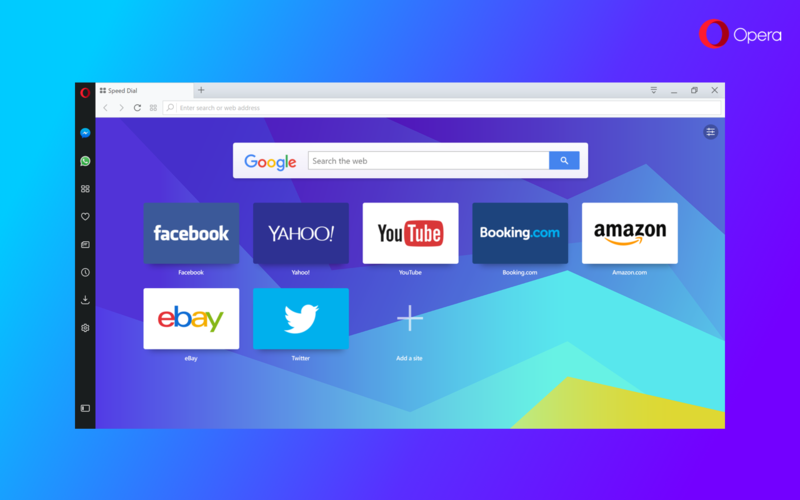 Opera 45 comes with Chromium 58, and there’s a bunch of changes. If you’re interested in the details of what happened under the hood, have a look at the dev.opera.com post. Jump in, download the new Opera and let us know what you think of Opera Reborn!